Summer is air show season, when we get to sit out in the sun and watch some of the world’s best pilots thrill us with their expertise in the skies. But how did air shows come about? How popular are they today? The first international airshow was the Reims Air Meet in France, and took place in 1909. It’s estimated that as many as half a million people witnessed the event. 2. Air “exhibitions” were popular during the early years of flight. The Wright Brothers traveled around the country and the world demonstrating the Wright Flyer to private as well as limited public audiences. 3. In the 1920’s, airshows could be more accurately described as air races. There were four major air races during this period: the Schneider, Pulitzer, Thompson, and Bendix. 4. As there were few flying regulations in the 1920’s, barnstorming shows swept across the nation, drawing what we would consider today the first real stunt performers in aviation. 5. 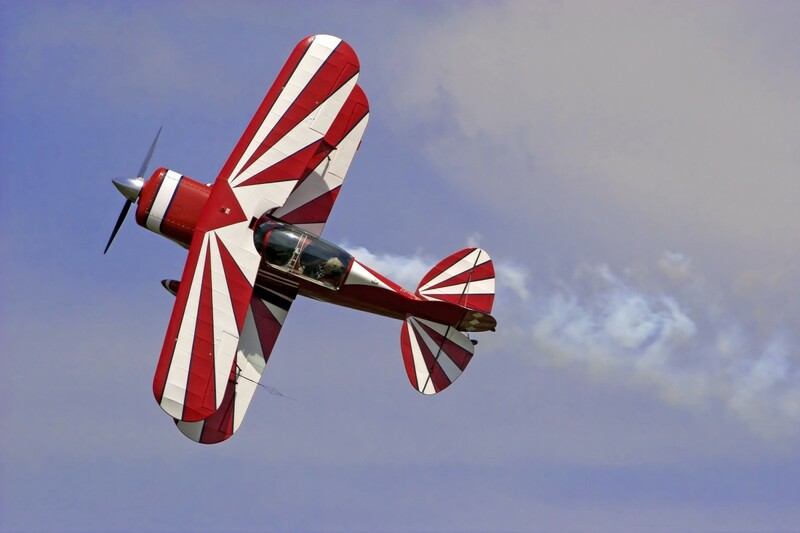 There are about 350 airshows in the U.S. and Canada every year. These are primarily held during the summer months during the daytime, as the weather conditions tend to be better for flying. 6. Becoming an airshow pilot requires expert skill and dedication. For this reason, there are only about 320 regular air show performers in North America. 7. Flying in an air show today is thirsty work. Once sealed into the cockpit, pilots can lose up to two pounds in water weight as they sweat during a performance. 8. Today, 10.5 to 12 million Americans attend airshows every year.